Brown O’Connor Communications is seeking a Client Executive to work in the areas of Public Affairs & Corporate Communications. This is an exciting and demanding role within a growing company requiring a resilient individual with emerging leadership qualities to join the team. You will have a deep interest in politics, business and the media and have a developing understanding of the role that public affairs, media relations and stakeholder relations plays. Once you join the Brown O’Connor team, you’ll be signed up as a member of the Chartered Institute of Public Relations and enrolled on the Continuous Professional Development programme. 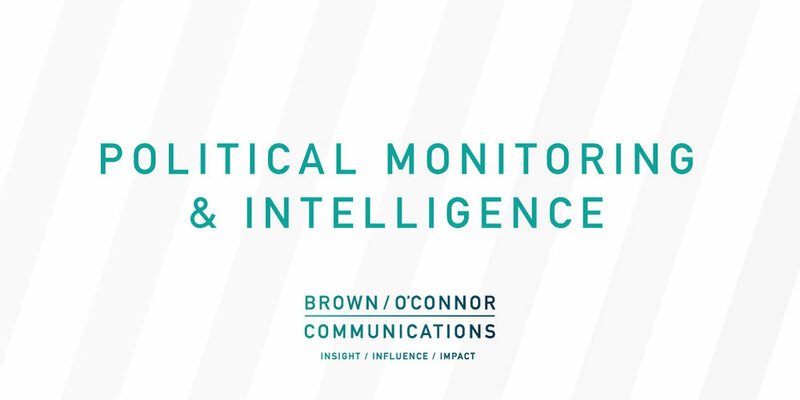 Brown O’Connor is an ambitious and trusted communications consultancy based in Belfast City Centre. We help our clients gain impact and outcomes through specialist insight and influence with decision makers. We have a growing track record for managing and delivering complex communications programmes for some of the UK and Ireland’s leading businesses, professional services, charities, trade bodies, interest groups and public-sector organisations. · Third Level Degree or equivalent in the preferred areas of Communications, Law, Politics, Business, Social Science or Humanities. · Have a strong interest is the news agenda, particularly political and business news. · Knowledge of government institutions and NI politics. · Possess strong writing and editing skills with ability to write attention-grabbing media material, client correspondence and reports. · Expected to attend events for client and networking purposes. · Willing to work evenings and weekends as required by client activity. · Strong initiative, leadership skills and work ethic. · Ability to hustle to make things happen. · Understanding of what makes social media content engaging. To apply, please send a cover letter and C.V. to Brown O’Connor Communications at hello@brownoconnor.com by Thursday 16th May at 5pm. Councils must promote social value in the procurement process. Resource locally based tourism projects, which can help boost the hospitality industry. Support City Deals in Belfast and the North West. All councils should have clearly mapped out regeneration plans specific to their area. Agree a new partnership between Executive Departments and local government to share financial obligations of regeneration more equally. All councils should pay at least the living wage of £9 per hour. Every household should enjoy at least 10mbps broadband. Continue to oppose changes to Sunday opening hours. An increase in social housing. The NIHE must review the method of calculating how many new homes are needed each year. Every development must include a percentage of social and affordable housing. A citizen’s charter in every council, much like the Belfast City Council 2018 Mayor’s Charter. An Irish language policy and Irish language officer in every council. Introduction of the legacy mechanisms agreed in the Stormont House Agreement. Campaign for a Unity Referendum in the near future. Work to increase cross-border cooperation on education, health and the economy. Lobby for a 2019 referendum to allow Irish citizens outside the Republic of Ireland to vote in Presidential elections. Last month, the Secretary of State for Northern Ireland, Karen Bradley MP, signed the Heads of Terms alongside the Belfast City Regional Deal partners and the NI Civil Service. The deal is expected to see the delivery of more than 20 projects to help create up to 20,000 new and better jobs, with an annual GVA impact of £470 million. 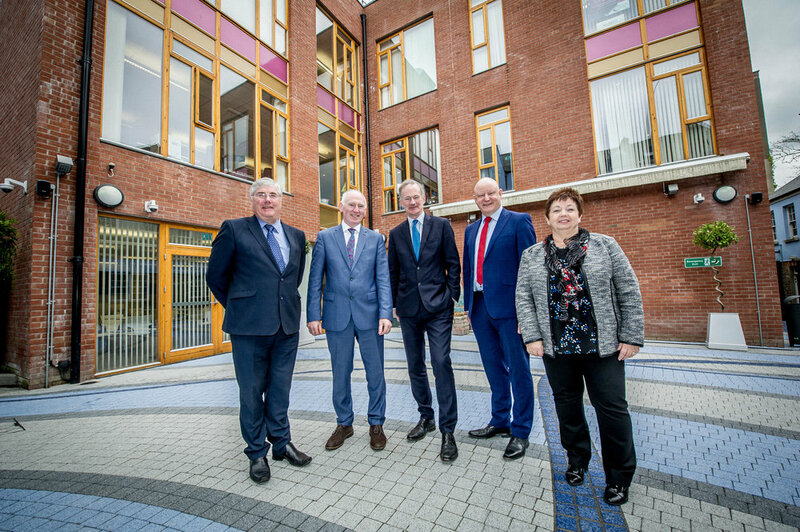 The partners include: The UK Government, Northern Ireland Departments (in the absence of an Executive), Queen’s University, Ulster University and 6 Councils. A Joint Council Forum and a Programme Board supported by Steering Groups who will develop programmes in each of the Investment Pillars. As Belfast City Council is expected to act as the lead authority and accountable body, the Council is currently putting the appropriate management structures in place. Growth sectors targeted will include: Financial, Business and Professional Services; Agri-Food; Digital and Creative Technologies; Advance Manufacturing, Materials and Engineering; Life and Health Sciences; Tourism and; Construction and Materials Handling. 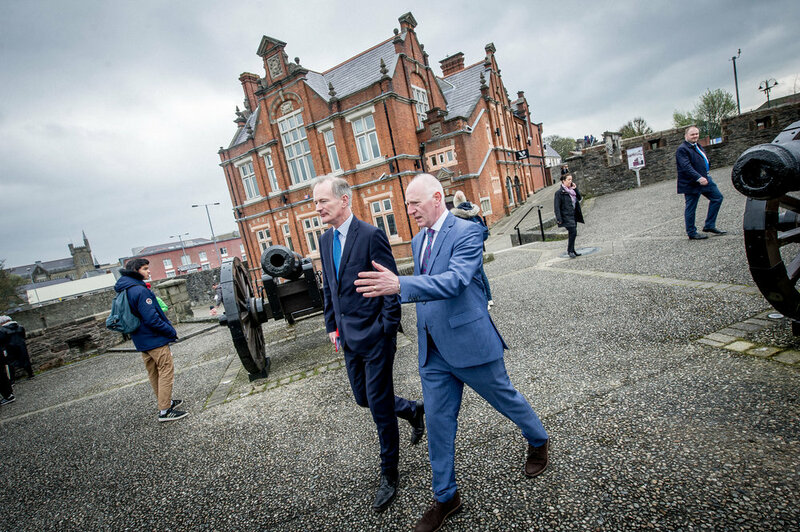 Funding includes £350 million from the UK Government, £100 million from partner councils, £50 million from the two Universities and if re-established, £350 million from the Northern Ireland Executive, totalling £850 million. Will be enhanced by at least £150 million private sector investment, providing the Belfast Region City Deal with a 10-year £1 billion Programme of Investment. The 22 proposed projects, which have been agreed in an investment plan are focused on four main Investment Pillars: Infrastructure, Tourism and Regeneration (totaling £450 million), Innovation and Digital (£350 million) and Employability and Skills (£30 million investment in an employability and skills package, including a City Deal Apprenticeship Programme). 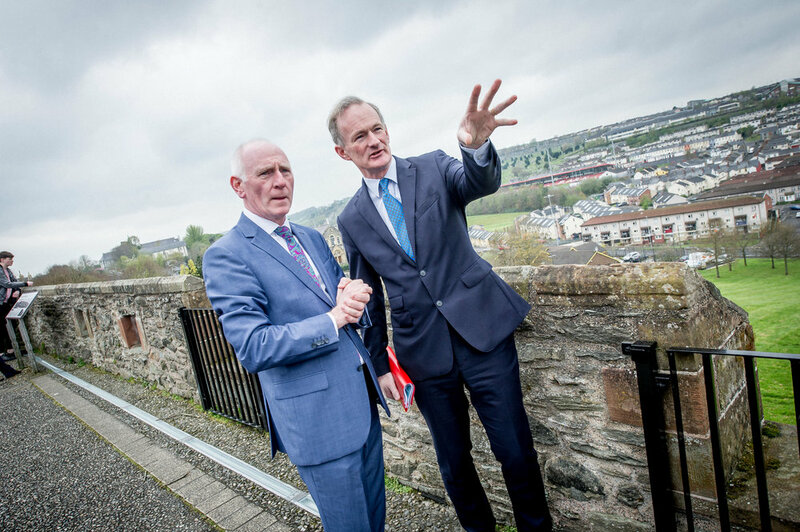 Partners will work with the UK Government and NI Civil Service to develop a final City Deal Document; a financial plan; detailed implementation plan, incorporating monitoring and evaluation frameworks; and business cases for all projects. Work to develop a communication strategy and operating protocol. Last week a new short film about dementia in Northern Ireland was shown for the first time. Supported by The Social Change Initiative and produced by Erica Starling Productions, ‘Our Lives with Dementia’ looks at the lived experiences of four people and families in Northern Ireland who are living with dementia. 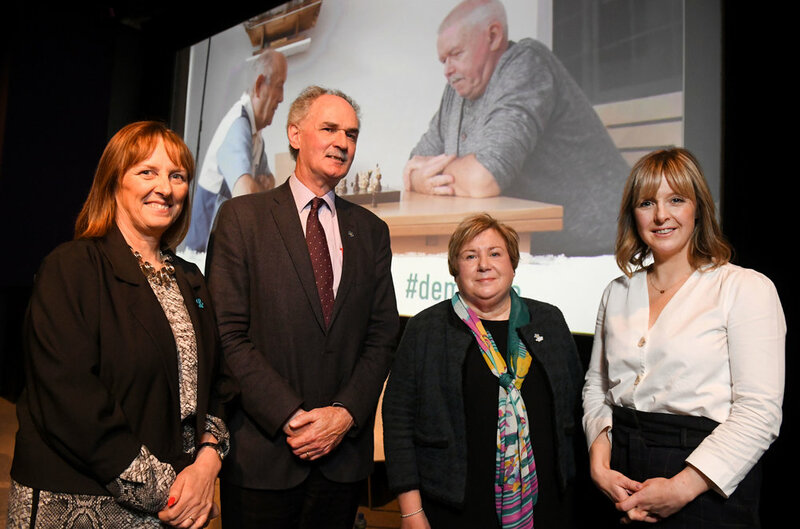 The powerful film looks at diagnosis experiences, the impact that dementia has on families and the different service provision that exists across Northern Ireland for people with dementia. Over 19,000 people in Northern Ireland are living with dementia. By 2050, it is predicted that the illness will affect up to 60,000 people. It is also estimated that by 2040, dementia will claim more lives than cancer. With an ageing population and increasing numbers of people living alone, dementia is one of society’s greatest challenges. With access to the right support across Northern Ireland, people can live well with dementia. A new Dementia Care Pathway has been developed but has not yet been implemented. The film shows a stark contrast between the services that are available for people who are diagnosed with dementia and living in different parts of Northern Ireland. This was a feeling and view that was reflected and discussed during the Q&A session which followed the special screening at Queen’s Film Theatre. Chaired by Tara Mills, the panel consisted of Emily Wilson, who is in the film with her husband Jim who has dementia, Bernadine McCrory who is the Director of the Alzheimer’s Society in Northern Ireland and Seamus McErlean from the Health and Social Care Board who is the Social Care Commissioning Lead (Older People and Adults) and Co-chair of the Dementia Strategy Implementation Group. The audience, which consisted of healthcare professionals, politicians, people living with dementia and organisations who provide support to people and families affected by dementia, joined in on the challenging conversation which focused on the varied service provision, diagnosis stories, and improvements that are needed to help people and families who have been impacted by dementia lead full lives. While progress has been made, there is still a way to go. Our Lives with Dementia is a touching tribute to those who are living with their diagnosis and it is the hope of the families who are involved that sharing their stories will go some way in helping the wider public understand what it is like to live with a dementia diagnosis. A full downloadable version of the film can be found here. NILGA has launched a campaign to explain the vital role of our 11 councils and to encourage people to vote in the local government elections on Thursday 2 May. Informative, short animation pieces focus on the real-life experiences of four individuals, why they believe that voting in the council elections is important and what they hope to see as a result of using their vote. Chief Executive of Belfast City Council Suzanne Wylie, Regional Director of GLL in Northern Ireland, Gareth Kirk, and Devon Small from GLL announce 75 new jobs across leisure centres in the city.